What do you think are the key differences between the parties? What information do you find you’re unable to obtain from the media or your local members that would influence voting decisions for yourself and others? Which election issues matter to you the most? Anything election related you think relevant! You can comment using your Facebook details below or scroll further down to put a comment in our standard comment section. You don’t need to use Facebook to comment! Scroll down to comment by just using your name and email (email address required but not published). I live in Bonner and will putting Palmer United Party first in the House of Reps, with Ross Vasta getting my preference before Laura Fraser Hardy. In the Senate I will be voting above the line for Katter’s Australian Party. Old Yarranlea State School sits in Bonner, with almost all families drawn from Bonner, Griffith & Moreton (it has no school catchment). OYSS is facing closure with 7 other Qld schools, (yes, a State issue) however it is located on Griffith University Mt Gravatt Campus (Bonner), giving it a unique Federal twist. OYSS is a small school with a big case. It makes a unique strategic contribution to not only rural and remote education in Qld by assisting to train quality teachers in a small school setting; but it also contributes to the tertiary education sector via Griffith Uni. Let’s put aside for the moment, the fact that OYSS is also a great State Primary School – very important to its families past and present. Education is a major federal election concern for all families in all schools, and the prospect of school closure without proper consultation, meaningful dialogue and due process has lead to even greater concern about the LNP approach to education at all levels. The process employed by State LNP is not regarded as fair and accountable by those communities subjected to it, regardless of the way it is presented by its designers. The potential closure of 8 school concerns/impacts the citizens/families of the relevant Division (Bonner, Griffith and Moreton in our case); it involves schools that have received Federal funding and investment, and in the case of OYSS it directly involves a University that actively seeks to continue the strategic partnership. For these reasons, we expected Bonner Federal Candidates to engage and take an interest in the concerns of their constituents and education providers. Our school community has sought assistance from all spheres of influence. As a normal State School parent community, we acknowledge a broad range of political views will exist amongst the parent community. 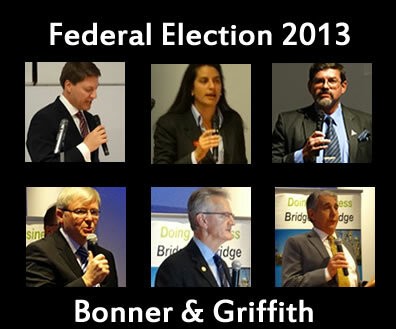 The following has been our school community experience with our Bonner Federal Candidates. From the beginning, the Bonner Federal Candidates for Labour – Laura Fraser Hardy, and The Greens – Dave Nelson, have been concerned, interested, engaged and willing to help our school community. Their actions have demonstrated that education, and specifically Old Yarranlea State School is important to them, and that an extremely aggrieved Bonner school community matters. Both Laura and Dave have attended our Community Consultation meetings, provided advice and perspective, provided practical help and stood by our parent community. Both Labour and The Greens candidates (Laura and Dave) have shared our plight and grievances with their supporters, colleagues and the Bonner community at many opportunities. Both candidates have generously invested time and resources in the OYSS school community. They have come to know the OYSS families involved, and to understand the unique circumstances of Old Yarranlea State School and the Griffith University partnership. They have both done their best to understand a complex issue of conflict within Bonner. Regardless of political persuasion, this should have been a minimal expectation of any Federal Candidate: care and interest. The story has been very different with regard to the LNP Member for Bonner, Ross Vasta. Despite the efforts of the school community, Ross Vasta has been extremely difficult to engage. He did his best to avoid our difficult issue for as long as possible and avoided all communications in various forms. The OYSS community became more and more persistent in an attempt to be acknowledged, and eventually, when left with little option, Ross’ office made contact, offered a very late letter of encouragement and endorsement whilst deferring to his State LNP colleagues. Conveniently Ross’ State LNP colleagues have delayed any decision on school closures until after the Federal election, despite earlier commitments to an early August decision. Any communication our school community has achieved with Ross Vasta came only after extreme and prolonged effort and pressure from multiple parent sources. Our community’s first obstacle was to convince Ross Vasta that OYSS and the Mt Gravatt Griffith Uni Campus is in fact within the Division of Bonner. As a result of an “error”, Ross as the sitting LNP member for Bonner was not aware of this until recently; and our first challenge was to convince that the Boundaries of Bonner in fact contain OYSS and the Mount Gravatt University Campus (Nathan Campus is in Moreton). OYSS’s first personal contact with LNP Ross Vasta at any level, only came through parents’ attendance at the recent Carindale Connect Community Forum, which we knew Ross would attend (many thanks for ensuring that opportunity Carindale Connect!). Ross has not attended any of OYSS’s Community Consultation meetings intended for the wider community, and only after many weeks of pressure did he respond generally through his office staff, to individual communications from a number of parents via phone, email and social media. Ross has in fact worked very hard to avoid engagement with our concerned school community in Bonner. This has been very disappointing. We can only conclude that avoidance of a difficult issue of significant importance within Bonner, has taken priority over caring about the Old Yarranlea SS community, our families and the University aspect of our plight. This conclusion is further supported by the State LNP delay to school closure decisions until after the Federal election. yes I understand there are many, many more state schools on the list for closure in Queensland and the federal Govt seems to have the same agenda. I have also heard a number of complaints re: just how unavailable Ross Vasta has been to the Bonner community, however I have regularly seen both Laura and Dave out and about and trying to help the community (I do not belong to any political party… these are just my observations and what I have heard). There are 8 schools and communities desperate for news on their fate. What is certain is that the LNP wants to close some if not all. As a parent not belonging to any political party I have sought assistance from as many quarters as possible.Both Federal and State. Ross Vasta has been very difficult to contact so I attended the candidate’s forum as I knew he would be there. As Old Yarranlea is on Griffith Uni Mount Gravatt campus it is most certainly a Federal issue as well as a state issue. If Old Yarranlea were to close Griffith Uni would be left with a Heritage listed fully operational, extremely well maintained primary school. Griffith Uni has maintained from Day 1 that they wish the school to remain as it is the best use of the land and the Partnership with Ed Qld is valuable. Yes, the land belongs to Griffith Uni and so the Federal Government. It cannot be sold by the State Govt. Griffith Education students would lose the opportunity to undertake valuable training in a small school multi age setting. Griffith Uni would be left with a set of buildings of no use to them and the associated cost of maintaining a Heritage listed building. At the forum I pressed Ross to contact his State Govt counterpart JPL. Initially he wanted to wait until after the election as we are in caretaker mode. I continued to press him as it is NOW that we need assistance from our MPs. He agreed to contact JPL but I am yet to hear whether this has happened. I am concerned that Ross has perhaps neglected a significant part of his electorate that being the whole of Griffith Uni Mount Gravatt campus. I have found both Dave Nelson Greens and Laura Fraser Hardy ALP both approachable and engaged as outlined above. I am also disturbed by the delays in announcing the decisions on whether schools stay or go. I am very fearful that the election of a Federal Coalition will be treated as a mandate by the Qld State LNP to continue with their cuts and that next year there will be another round of school closures. To all the Parents and children at Old Yarranlea SS, it was my pleasure to do what I could to get your message heard – as limited as that was. Based on my own homework into the results the school has acheived, the contribution it makes to the university, and to other schools in the region, and attending the “consultative” process – it would seem to be a “no-brainer” to keep this school opperating as it is. If the descision is otherwise, you can be sure it is a political descision – not a rational one. I will continue to do what I can – please continue to keep in touch. The fact that the LNP State Government brought forward the dates for ‘consultation’ (which never did really occur) and have now postponed any descisions until after the Federal Election tells voters a lot. The Liberals cannot be trusted. We were all advised that State Government petitions were the only ones that were considered legitimate by them as the others did not have addresses for them to confirm those that had signed lived within the electorate of the school concerned (still not sure why they think only people who live in an electorate are allowed to be concerned about school closures, oval and asset sales). I did not trust this type of petition due to the requirement for an end date to be given, when we as concerned parents had not been given a date or timeline for consulation (in the case of oval sales). Schools facing closure were given dates, but when these were brought forward it rendered the close dates and in some cases petitions useless becaseu they finished after the new submission date. Nyanda State High School have been notified that their State Govt Petition was not included in the decsision due to this. Yet Old Yarranlea State Govt Petition was considered. They couldn’t even be consistent between the schools. I am so glad that our oval seems to be safe. Kevin Rudd and his staff helped all of us with our campaigns to save our communities and our assets. Anyone who was involved in these struggles knows what a hard working man he is and that we can trust him to support his community and those who seek assistance. It was left to our individual school communities to decide what we wanted to do and he supported what ever that was. There was no hassle with communication ever, prompt replies and assistance was always available. The other thing that happened through the assistance from K Rudds office is that many like minded parents have met and now continue to share information and support each other. The Coalition’s claim that Labor has mismanaged our economy is ridiculous and untrue. Australia weathered the GFC better than almost every other country on Earth because of Labor’s management. The Coalition’s reluctance to release their policy costings should make voters question, “why”? I am extremely concerned with the Coalition’s stated intention to abolish a price on carbon and ditch the MRRT. They have lied as to the cost of the carbon price to families, and abolishing the MRRT allows the (mostly multinational) mining companies huge profits from Australian resources, denying Australians financial benefit from our own resources, while Australian communities bear the brunt of the environmental and social impacts of Big Mining. The Murdoch press coverage of the election has been the most biased this country has ever seen, and the denigration of the position of Prime Minister of Australia is a shameful thing. Australians should be provided fact-based, non-emotive news to allow us to decide who we will elect as our government. Mr Abbott’s ability to represent Australia on the world stage is highly questionable, given that during the election campaign he has managed to upset two of our most important and close neighbours, Indonesia and PNG. Mr Rudd’s diplomatic experience in foreign affairs is an asset Australia needs. I was lucky enough to go to the ABC Qld Speaks listening to a panel of 12 experts on policy talking about what each party will do in given areas. One thing that was clear from both Finance and business is that we are borrowing money as a triple rated economy on 4% to invest in the NBN, Better Education, DisAbility, Hospitals, TAFE to build our country. We were told by the business sector that the PPL scheme was not liked by the business sector as they had to pay a huge part of it. They thought it bad policy. The expert on IT was brilliant at describing how the Labour NBN is building for the future like the Snowy Mtn Scheme was an investment. Today I heard 60,000 households and businesses in and around Bonner won’t be able to access fibre without paying. Fibre will stop at street corners and old copper system will connect to each house or business. Much more expensive if we change our minds. The NBN will make us money in the future, it is set up that way. The IT expert was right, this is an infrastucture project our grandchildren will thank us for. I worked on fibre-copper interface design – and I know exactly what its limitations are – we hit the maximum speed possible in copper in 1995. There has not been a significant improvment in copper speeds since then – so 20 year old technology vs a technology which will still be state of the art 100 years from now – which would you rather put your money into? I’m in the Griffith electorate and we’ve been served well by Kevin Rudd. Unfortunately it’s a big part of the ‘undecided’ group who will take the shallow media rubbish we’ve been fed as gospel. I urge everyone to look at what Labor provides and that our economy is the envy of many nations. We’re a fickle bunch and we need to get real. I am in Bonner and I would add that we have been well looked after by Labor. And as Mr Rudd has said, there have been mistakes made, however but these are far outweighed by the positive and great things achieved by Labor: for example, in the overall picture Australia has a three star rated economy, the 12th largest economy in the world, low unemployment and low interest rates. Labor has a plan for high speed internet, real support for those displaced from work with training, help for small business, ‘The Better Schools Plan’…it is the Party that has its eye on the future and aims to work for all Australians. Labor does not have a plan to slash work positions and opportunities the advancement of health and education. We were not in the top 16 before 2007 now we are a triple rated economy in the top 8 richest economies in the world. Ask someone who has been overseas how good it is here? Kevin and Wayne Swan were brilliant in saving jobs, creating over 1 million jobs while other nations have suffered enormously. Europe is only now beginning to recover in places. I’d like to know more about the details of policy. But not getting much of that in the reporting of the campaigns!! I have liked the fact checking websites and that sort of thing. I’ve decided who I am voting for and it’s based more on the values of the party not detailed policy information.